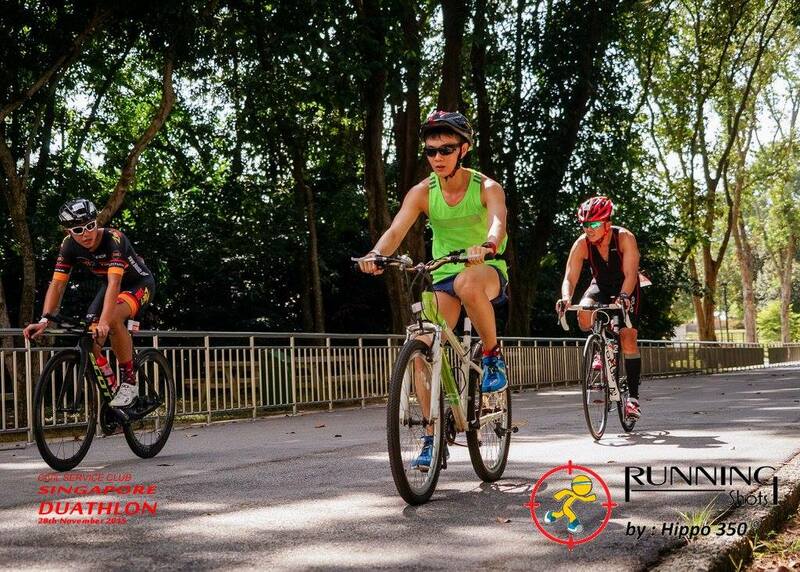 Race Review: Singapore Duathlon 2015 [Sprint] (by Moses) | JustRunLah! It’s been a long while since I’ve managed to participate in a race and it was certainly exciting to try out a multisport event. You can refer to my personal experience here or just read on below for a more objective review 🙂 Do look out for the font in italics as they are aspects I deem pertinent in a race. 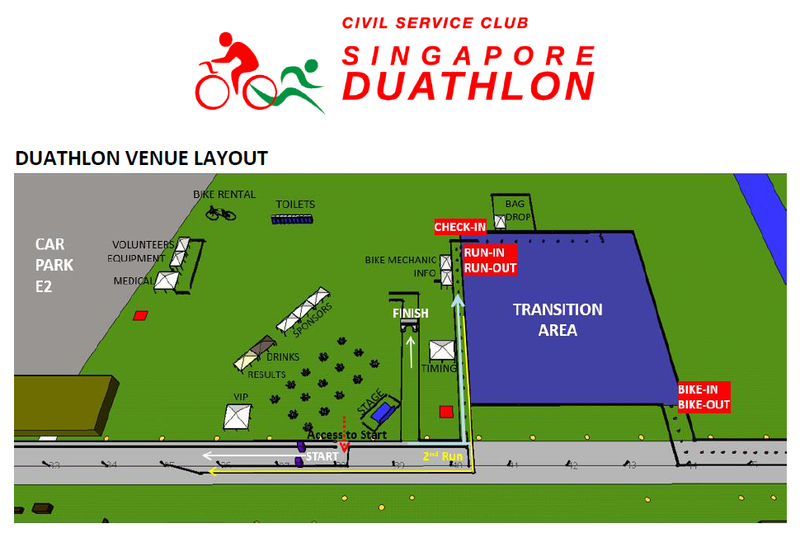 Singapore Duathlon 2015 was actually scheduled to take place on 3 October 2015, yet us Singaporeans may know that weather conditions clearly (or rather, conditions were not at all clear) weren’t going to permit the commencement of the event, having taken into account participants’ safety. Consequently, MetaSport made a courageous decision to reschedule the event to 28 November 2015. REPC was held on two occasions, the first to cater for the previously scheduled date. Due to the postponement, registration was opened yet again, hence another REPC was held for participants who had signed up later. It was held at the Civil Service Club from 11.00am-8.00pm on both occasions. REPC. Credit to MetaSport’s Facebook page. Having had no experience in a bike race – let alone own a personal bike, I opted for the Sprint category. 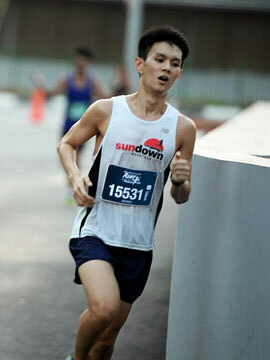 The 5km run, followed by an 18km bike and concluded with a 2.5km run was probably all I could manage. I had to figure out a way of acquiring a bike (and a helmet) – this was settled with a rental from S-Lite Events (a third party rental service outsourced by MetaSport). In return for the $35 (a road racing bike cost $70), I could collect a lovely mountain bike and a helmet at the race venue. My ride for the day. Credit to S-Lite Events. As I was scheduled to be in Wave 10 which flagged-off at 9.50am, I turned up about an hour early. After collecting my rented bike, depositing my bag and setting up transition (which for me, was just racking the bike in my allocated 60cm space), I did what we all do – head to the restroom. There were 10 (I counted) portable toilets available (adequate) and short queues to them. As the race precinct was just a stone’s throw from East Coast Lagoon Food Village, it meant additional restrooms were available there (and so was parking at Carpark E2). One other important aspect was that there was a bike mechanic present on-site for any last minute tweaks. The Race Venue. 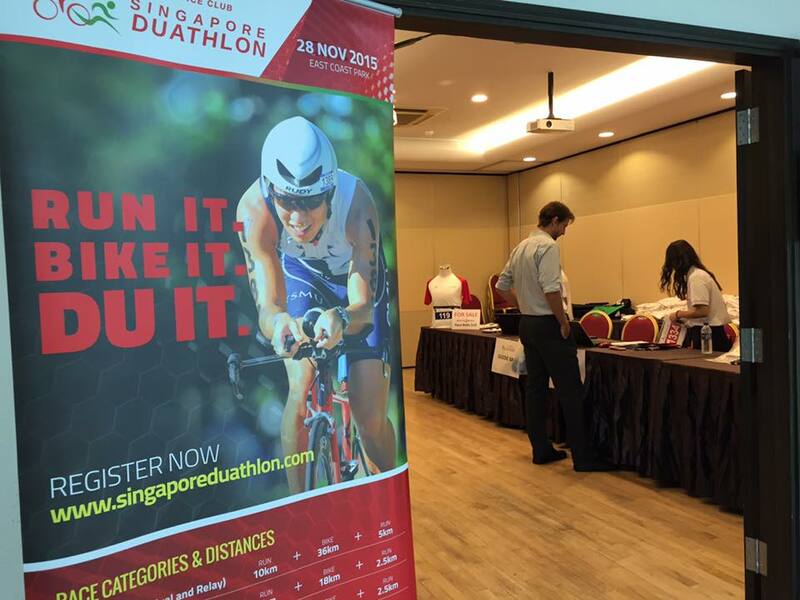 Credit to Singapore Duathlon’s E-Briefing materials. Promptly at 9.50am, my Wave (10) was flagged-off. The run route for the Sprint took us two rounds around a 2.5km (supposedly) loop. The run route was relatively flat and manageable, though the initial start was a little narrow. 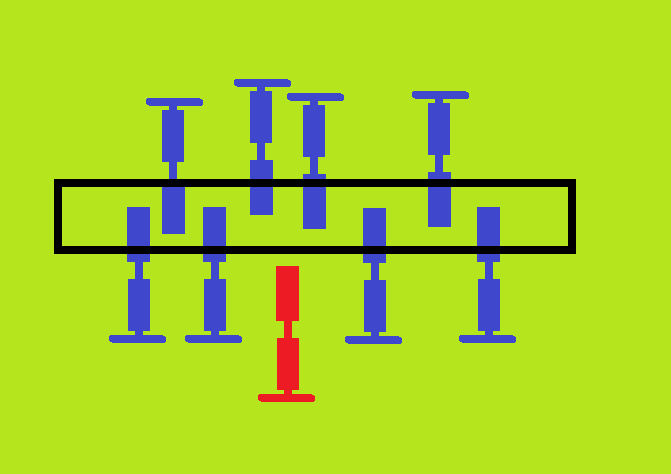 However, this was mitigated by the small size of the Wave, hence congestion was minimal and only present at the start. Despite the searing sun, the route offered considerable amounts of shade. Hydration points offering both chilled water and PURE Sports Nutrition drinks were present shortly after the start and just after the U-turn point of the 2.5km loop. Actually, the 2.5km loop was pretty short – and two loops run in order to complete the first run leg reflected a bigger deficit. Garmin recorded the first run leg to be about 4.2km. Thereafter came the transition. 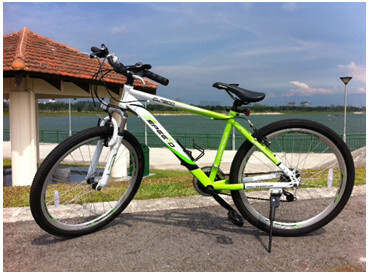 Two aspects were notable to me as a first-time participant of a biking event. Firstly, the helmet strap had to be tied by the time the bike was removed from the rack. Next, mounting the bike was only allowed after a yellow mount line. I noticed a rider attempt to get on his bike while still in the transition area, but alert volunteers promptly reminded him of the rules. Mountain biking. Credit to Running Shots. Thereafter came the second run. It was then that I understood the importance of bricks. Floppy legs. Credit to Running Shots. Anyway, it was back to the run route of the first leg, except that it was a single loop now instead of two. As I approached the Finish, it was encouraging having my name called out over the speakers 🙂 Strava data of my race is available here if you’re interested. Having known about the obsession that MetaSport has with their timing chips (which admittedly, seem to be of pretty good quality), I made sure to return it immediately. A Finisher’s Medal was handed out for all participants. 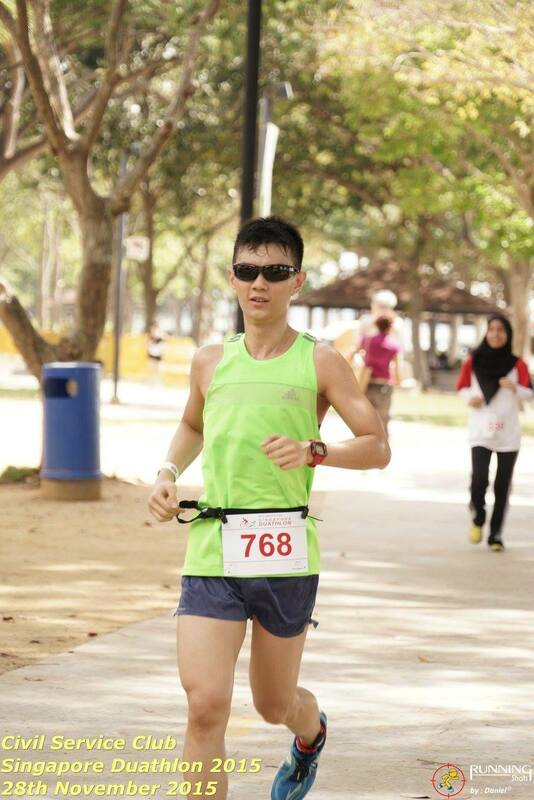 The entire post-race circumstances were pretty similar to my previous participation in MetaSport’s Singapore Aquathlon 2015. Live Results were accessible as well (Official Results were promptly released later that afternoon!). It was nice that plastic chairs and tables were laid out for finishers and supporters (in the shade). 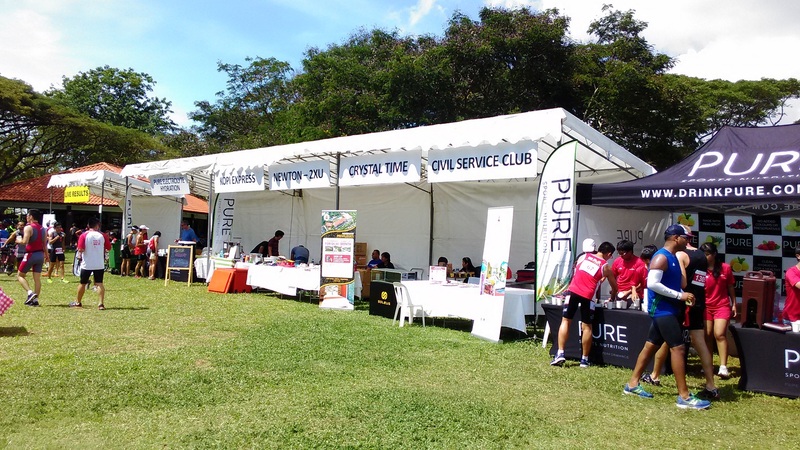 A hydration point serving PURE Sports Nutrition and plain water was available. Some sponsor booths were present as well. Last but not least, official race photos via Finisherpix were available on Monday, two days after the conclusion of the event.